So many moves! Bop It! Now has more moves than ever, and it's tons of fun for 1 or more player ages 8 and up! 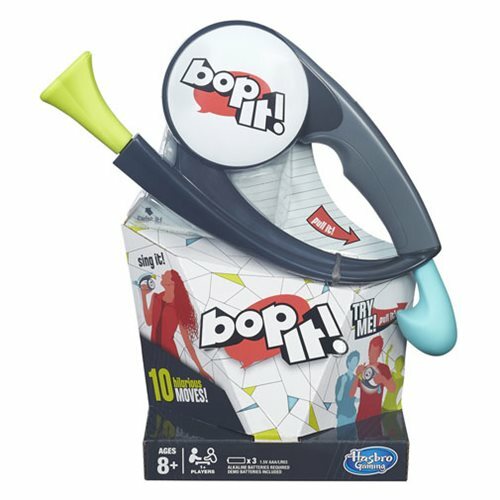 Bop it, sing it, answer it, hammer it, and more. No matter what, you're going to love it! Requires 3 AAA batteries. Ages 8 and up.